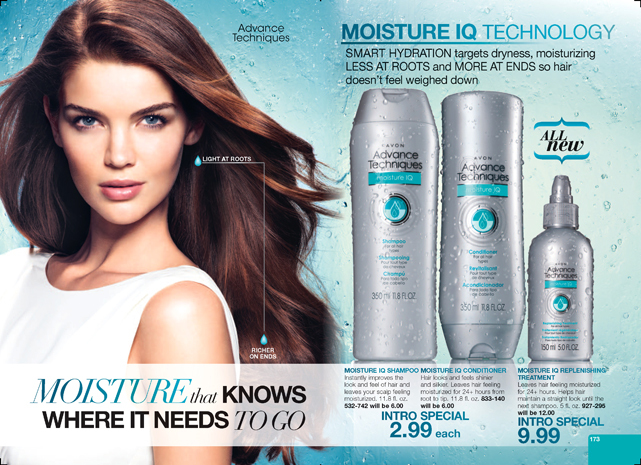 I’ve browsed through the Campaign 12 brochure to come up with these great Avon specials. I’ll continue to glean the best Avon specials each and every campaign so you don’t have to. 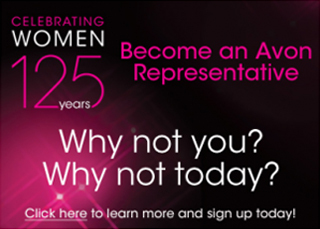 Click on any of the links throughout this post to be taken to my Avon shopping website. At some point this summer, you are going to need a lip balm for the summer months. 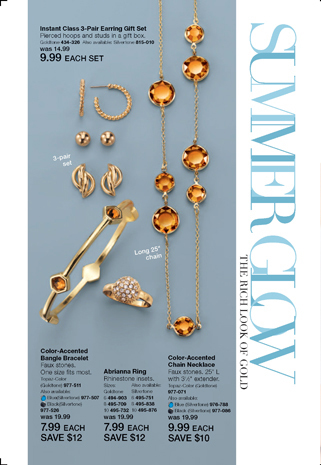 With this great Avon special price, now is the time to stock up. ON SALE 69₵ each! Avon has a great SALE on several of the Playtex bras. Don’t forget to check out the ‎“How to Find the Right Bra Size” chart. 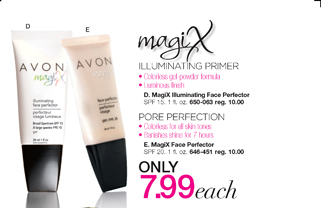 Magix Illuminating Primer is awesome. If you haven’t tried it yet – try it now. 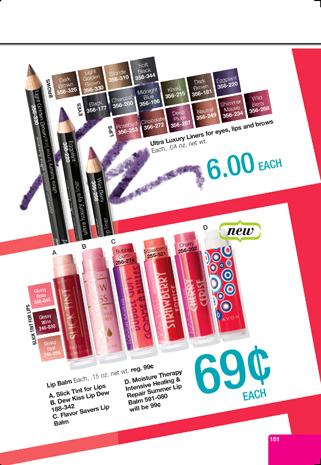 Avon special price of $7.99, normally $10. Contains a luminous finish which gives the illusion of no flaws. Banishes shine for up to 7 hours. It is colorless and goes on really smooth. It is one of my favorite tricks for hiding imperfections, like beginning wrinkles. Our jewelry is really pretty. Most of my customers buy at least some jewelry fairly regularly. Lots of great choices this brochure but an especially good deal on Page 108. All on SALE. Check out the new mark Stand Back Heels and Shift and Swing Dress. The mark brochure can be viewed by clicking on mark above.